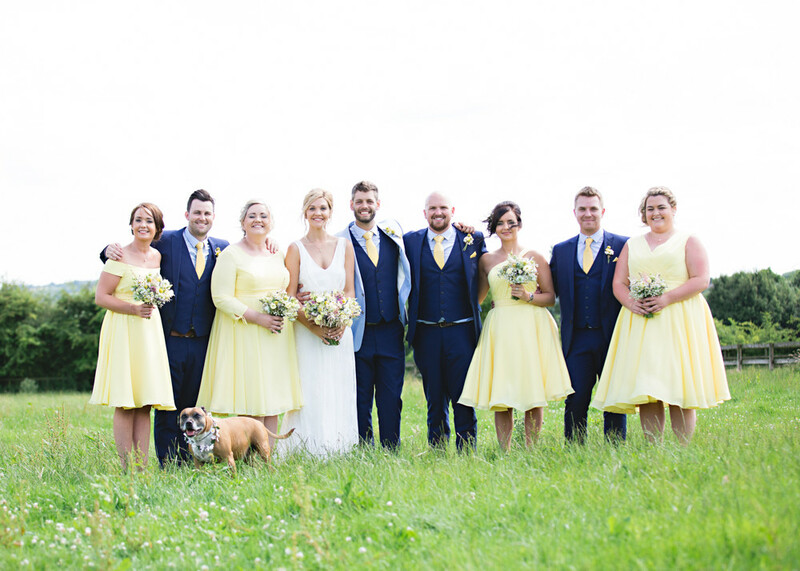 Leah and Mike fell in love with their wedding venue Shiningford Manor at first sight and it’s easy to see why. 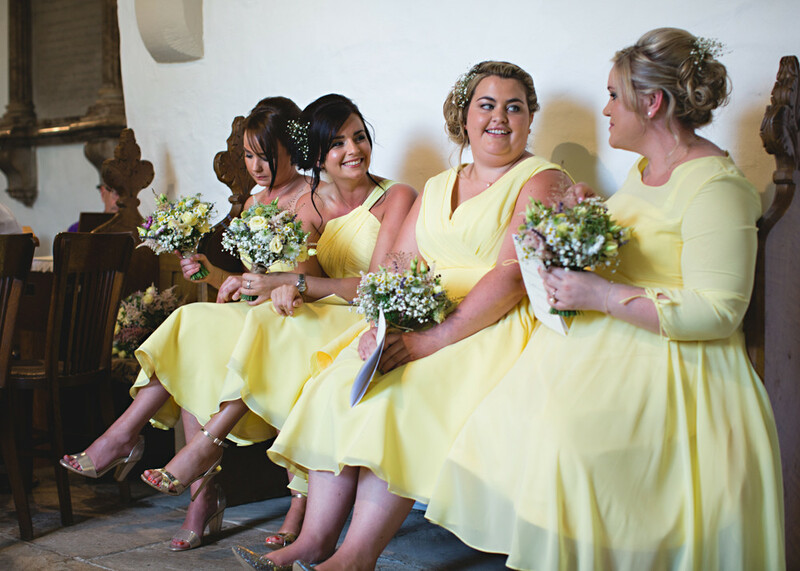 It is the perfect rustic idyll for the pair’s sunshine filled big day…from the lemon yellow bridesmaid dresses all the way through to the perfectly glowy sunset portraits of the couple as the night drew to a close. An Elegant Autumnal Wedding At Shottle Hall. It’s Friday afternoon and the sun is shining here in the UK! A weekend of BBQs and ice cold wine is definitely in order. We’re rounding things off today with a gorgeous Autumn wedding, featuring our favourite Autumn wedding accessory – a faux fur jacket. Bride Ann-Marie just looks so snug and stylish. I’m also coveting her glittery Miu Miu’s which she managed to find on eBay…I know!! What a bargain. 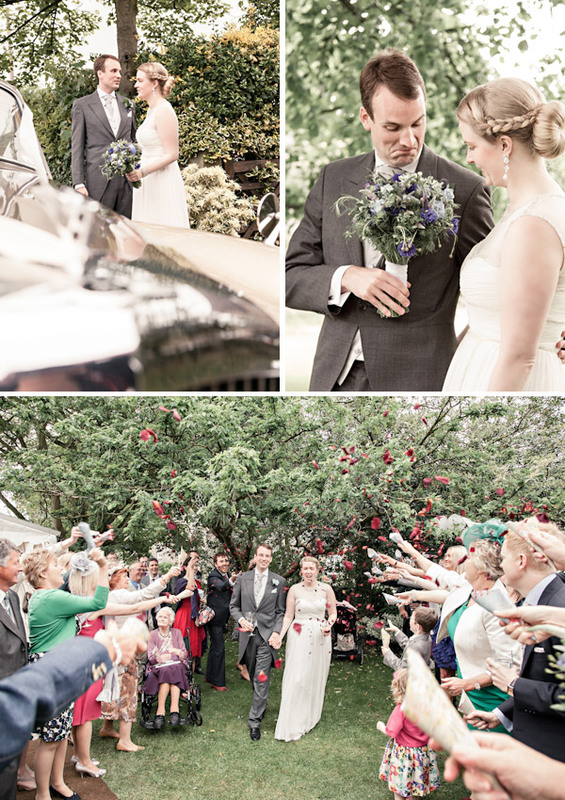 Ann-Marie and David travelled in a vintage Jag for their big day, which makes for some great photos. As does their gorgeous page boy Marcus in his oversized suit. Such a cutie! So here’s our final bit of pretty for you for the week. 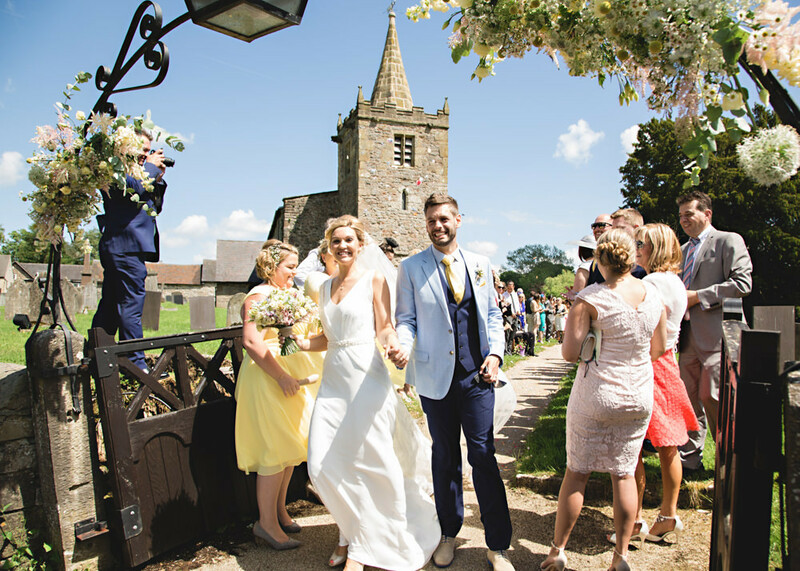 Have a lovely weekend everyone and if you’re getting married in the morning…enjoy every second and breathe a sigh of relief, because the sun has got his hat on! 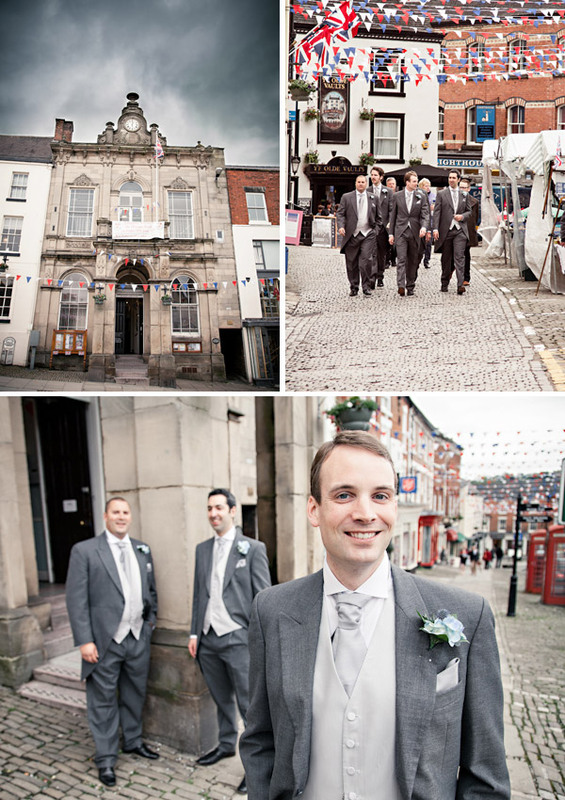 Lisa and Sam married at Ashbourne Town Hall in Derbyshire. 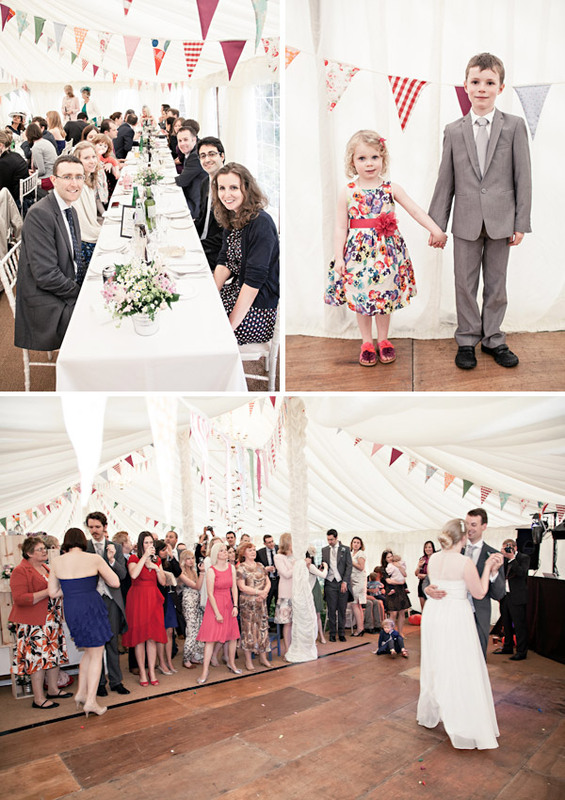 The reception was held at Sam’s parents’ farmhouse in Wootton down the road. 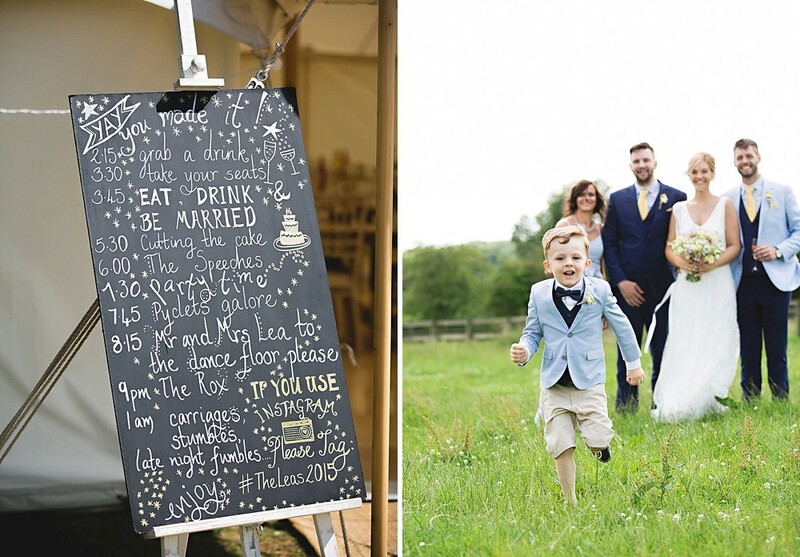 With rustic charm, a high street dress and loads and loads of D.I.Y, this is a wedding that sings the RMW ethos of “Your Day, Your Way” at the top of it’s marital lungs. 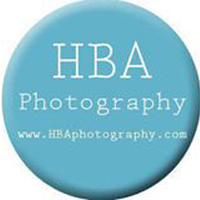 The pictures today are by the super sleek HBA photography. I decided from the outset that the traditional off the shoulder bridal number wasn’t for me. I don’t buy strapless dresses in real life as they don’t look good on me; so why would I wear one on the biggest day of my life?! I’d been to a bridal warehouse to check out the possibilities on offer and had had a terrifying experience watching myself being shoehorned into the dress of my nightmares, whilst the sales assistant told me how wonderful I looked. I didn’t. That was the last bridal shop I went into! I bought a dress from Monsoon to start with and it sat in my cupboard for a few weeks before I decided it just wasn’t the one for me. I just wasn’t excited about it. 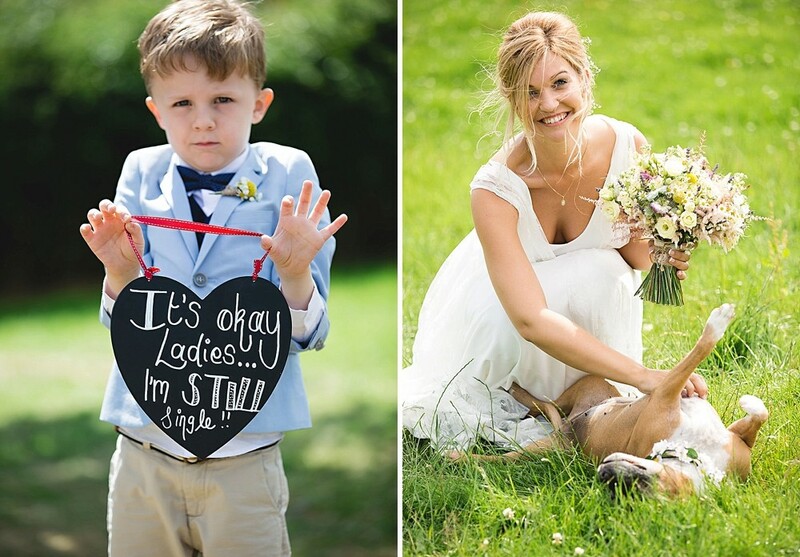 I looked alright – but who wants to look ‘alright’ on their wedding day? I took it back! My actual dress was from Biba. My Mum bought it for me online from House of Fraser. When I saw it in the photos, I knew it was just right. The right kind of old school vintage glamour style I wanted and a shape that would suit me. When I got it on I loved it. My jewellery, the earrings and bracelet, I found online from Lovett and Co, who make great modern vintage style jewellery. I adored the 50s style crystal pearl drop earrings as soon as I saw them. I think they really finished off my outfit. My hair accessory was made by me on my hen do! My friend, Anushka, who’s a creative sort, organised a ‘craft hour’ where we made pieces of jewellery from old buttons and beads. I liked mine so much I wore it on the day! I also made my niece, Maisie’s little headband too. It meant more that it was part of the story of the build up to the day. My shoes were very, very sparkly ones from New Look that I had bought a year before the wedding for £15 as a back up really; thinking if I struggled to find a pair they would do the job. I had set out with the idea that I would get a really expensive posh pair for the wedding day but after looking and looking in the shops and online I never found a pair that I liked more than the sparkly first pair I had bought. I did my own makeup on the day, which in retrospect, was extremely brave. As one of my bridesmaids Lizzie will vouch, I’m not very good at being a girl, despite her endless efforts – I’m a finger in the eye shadow and smear it across the lid kinda gal. However, I’m also not very keen on being fiddled with either, so I thought it best to give it a go. I decided to spend the money I would have spent on an artist on great makeup from NARS. I booked a session at the NARS counter and as luck would have it on that day, there were makeup lessons from international makeup artist Jason Hoffman (no I’d not heard of him either…but if you Google him he’s pretty hot stuff). He was great and gave me no nonsense tips to getting a simple bridal look. And for that one day only I pulled it off. I even managed liquid eyeliner, a feat I have never before and probably never again will manage; the gods were smiling on me on the 9th of June. My hair was done by Phillip, at The Old Stables Hairdressing, in Alton (of the towers fame). He doesn’t normally do ‘up-dos’ but luckily made an exception on this occasion (Sam’s Mum, Deb, has been a regular for years) and did a fabulous job of my huge side bun. The plait feeding into it just set it off a treat. We got our flowers from two places in the end. The table settings were prepared for us by The Flower Centre in Northfield, Birmingham, and two of our friends, Adam and Sarah, brought them by car to the venue the day before the wedding. We were pretty relaxed about the flowers. The vague brief we gave was ‘English country garden’, ‘not too done’ and ‘pinks, blues and purples’. 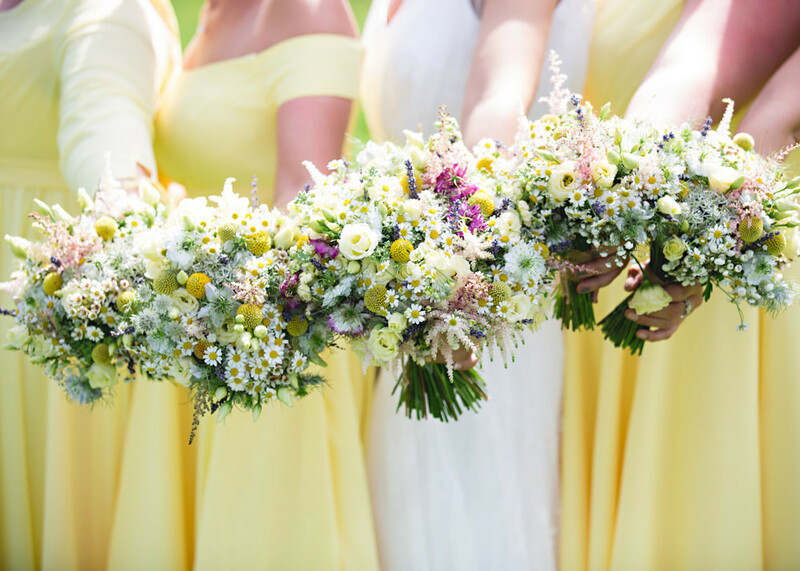 I left the decision making to Sarah from The Flower Centre, who expertly bought the best value flowers on the day from the market and made some wonderful country style arrangements for the tables which made the marquee look amazing. In addition, to these I had been collecting various bottles and vases over time to add to the decorations and a watering can or two. A kind neighbour, Emma, donated some fabulous flowers from her garden and Hannah, my now sister-in-law and helpers, scavenged flowers from the farm’s fields to arrange in the mix-match of vessels scattered round the tent. 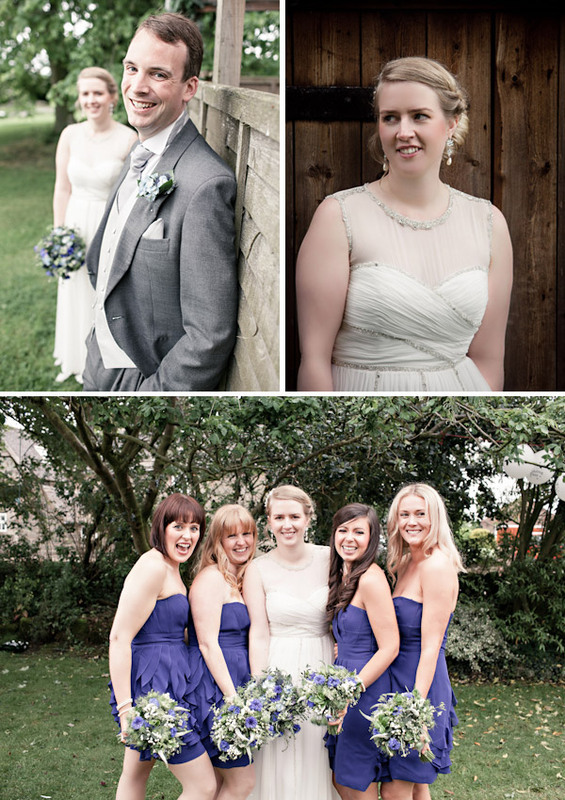 The bridesmaids and friends helped me arrange them into the lovely displays you see in the pictures. 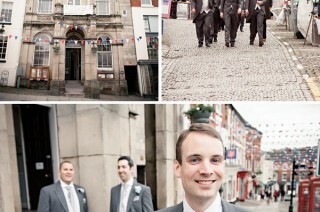 The bouquets and buttonholes were made for us expertly by Absolutely Fabulous florists in Ashbourne. I asked for ‘blue/purple’ to vaguely match the Bridesmaids dress and they were absolutely spot on. The bouquets were more beautiful than I could have imagined. A special mention should go to Lizzie, who expertly designed a mini bouquet for Maisie our flower girl from all the left over stems! The Bridemaids, Binns (also known as Christine), Lizzie, Jess and Han, looked absolutely stunning in their peacock blue dresses. I found the dresses online at House of Fraser, ordered them on a bit of a whim, and low and behold the dress fit everyone (well nearly) and suited everyone’s colouring! Accidental genius. 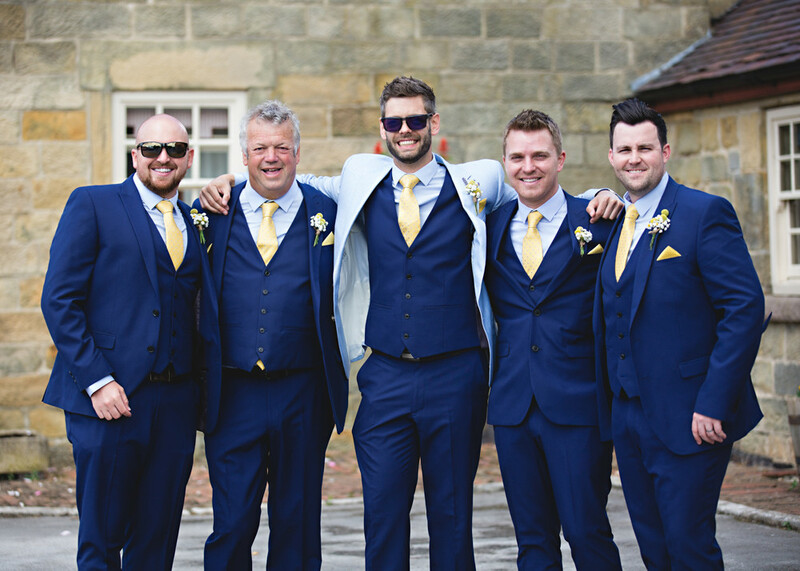 The Groomsmen’s outfits were hired from Moss Bros. Sam was keen for grey tails and I thought I’d better let him make one decision! As it was, the boys team looked absolutely super! Sam’s tails were also hired from Moss Bros. He looked fabulous. He treated himself to new Ted Baker shoes and I believe to a new pair of undies too! When I was walking down the aisle, he didn’t turn round for ages! When he did, I instantly relaxed as I saw him all dewy-eyed waiting for me. What a treat to marry him! 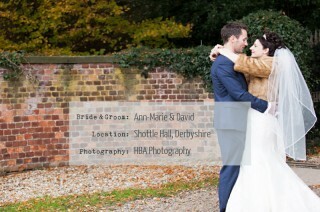 Our photographers were Ben and Hannah from HBA photography. Sam’s Mum had seen an advert in a local magazine about them and recognised that Sam had known Ben from school years ago. I went to meet them, liked their vibe and never looked back. On the day, they were absolutely brilliant. I was worried about being ‘papped’, as I’m not keen on being photographed, but they were unobtrusive and fun to have around. Sam actually hates looking through photos with me as I’m so self-critical, but Hannah and Ben did an outstanding job of making even me look great! I was so happy when I saw the pics. Everyone else looks pretty good too! I was thrilled with the way they had documented every detail of the day; the decorations, the food, the crowd. They made the wedding look like it could be in a magazine! Ben is multi-talented and doubled as our disc spinning DJ as the party got going into the evening and did an equally good job playing banging tunes! We made the cake ourselves. Sam’s Mum, Deb, made the enormous bottom layer, my Mum, Jane, made the second tier and I sensibly opted to make the little top layer! It was a fruitcake from top to toe. We made our tiers separately and marzipanned them and then the day before the wedding we all iced and decorated the cake together. Deb had found icing polishers to make a professional job of the icing and I had found sugar daisies to decorate the cake with online. With a little bit of Blue Peter magic, in a few hours we had a perfect wedding cake. I absolutely loved it – it made it more special that it had been a group endeavor! 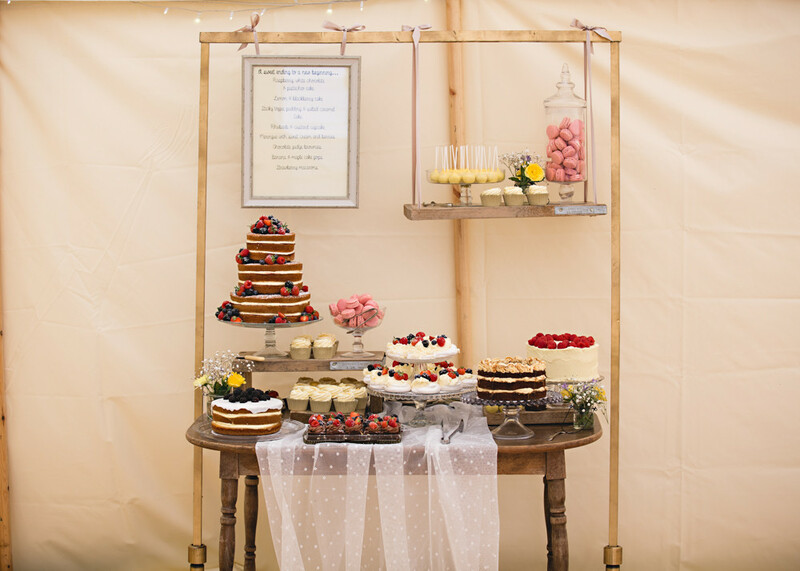 We also had a cheese cake which was expertly organised for us by Claire at The Old Cheese Shop at Hartington and looked and tasted fabulous. We had also made two pork pie cakes which we made from a selection we ordered from The Cheddar Gorge in Ashbourne. The cheese and pies made the perfect evening buffet along with some homemade chutneys and crusty bread. They went down a treat! We decided to have a band during our wedding ceremony and playing at the reception. We had been to a wedding fayre at the Round House in Derby a few months earlier and had heard the mellow tones of Mango floating out from a teepee on the lawn. 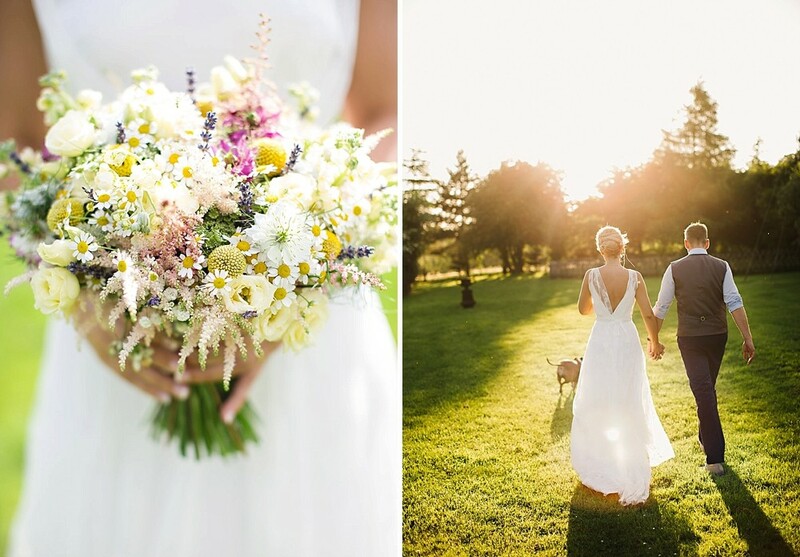 We almost instantly thought they would be great for our style of wedding. They were excellent on the day. 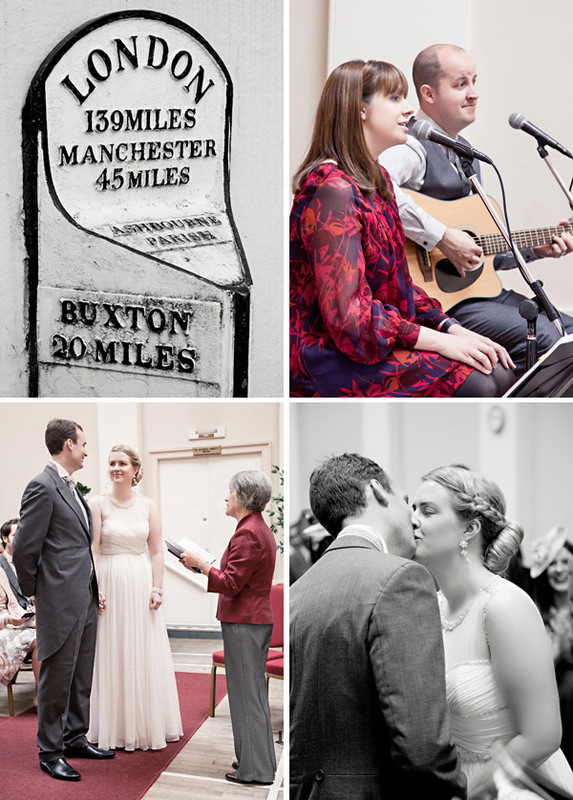 They played at the ceremony as guests arrived and then as I walked down the aisle Charlie sang’ All You Need Is Love’ and as we left ‘Here Comes The Sun’. They raced back to the reception to set up to sing through the drinks reception and canapés. We had so many positive comments about them from our guests – they were great. For a little extra entertainment, after the speeches, my brother, Matt, sang us a song which he had written specially for the day. In his own inevitable style, he combined touching, heartfelt lyrics with comedy and left the crowd wanting more. It was a great moment. The speeches by the best men, Adam and Tom, were superb and entertaining and had us giggling and reaching for our tissues in equal measure. Good work boys. 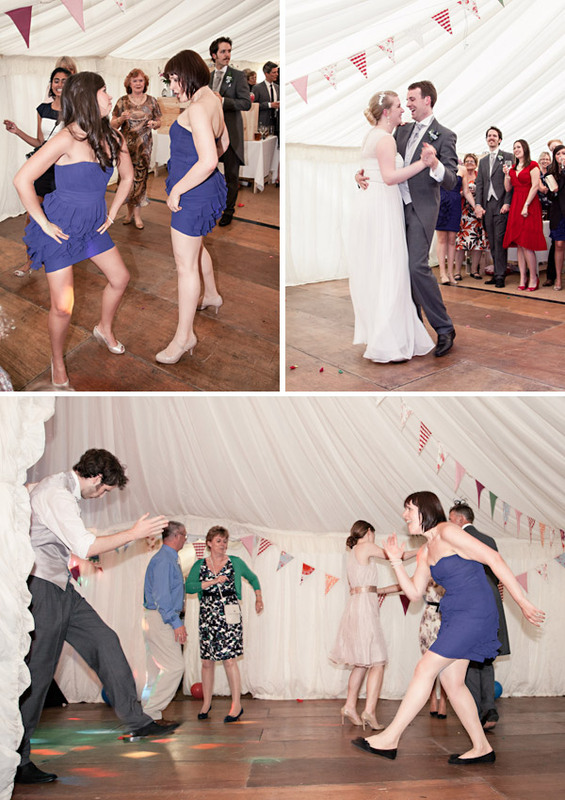 Our first dance was ‘One Day Like This’ by Elbow. We chose it because it seemed to encapsulate the spirit of the day and makes you want to grab life by the wotsits and give it a good shake. We thought the crescendo in the song was also a great opportunity to grab our family and friends to join in the dancing to shorten our agony! 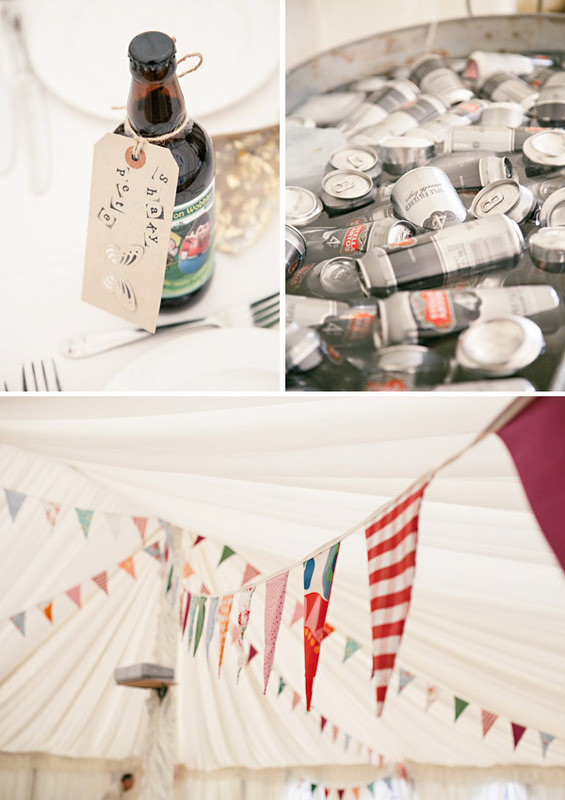 For the men’s favours, Sam found a local microbrewery called Nutbrook Brewery who would brew a special beer for the wedding day. Sam, Tom and Sam’s Dad spent a day making a cauldron full of beer, which ultimately became ‘Wootton Wobbler’. Alongside the favour for the men, we also had several barrels of the beer which went down a treat. From the brewery, we were able to hire out an enormous wooden bar with a hand pump which made the reception look even smarter and everyone enjoyed pulling their own pints! The ladies received little gift bags containing paper butterflies which were impregnated with the seeds of a range of country flowers which I found online. Plant the butterflies and hey presto…some plants will grow. For the kids, I found some beautiful knitted finger puppets at a farm shop we visited on my hen do which they could play with during the meal to keep them entertained. Because the marquee was in the garden, we had complete control over the design. 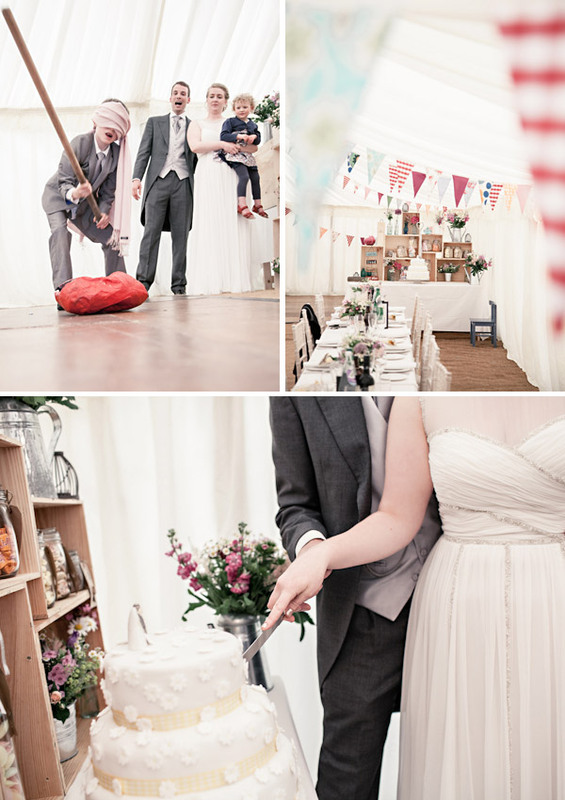 In my head, I had a vision of a ‘wonky’ wedding, not too fussy, not too done, just simple, country style vintage. 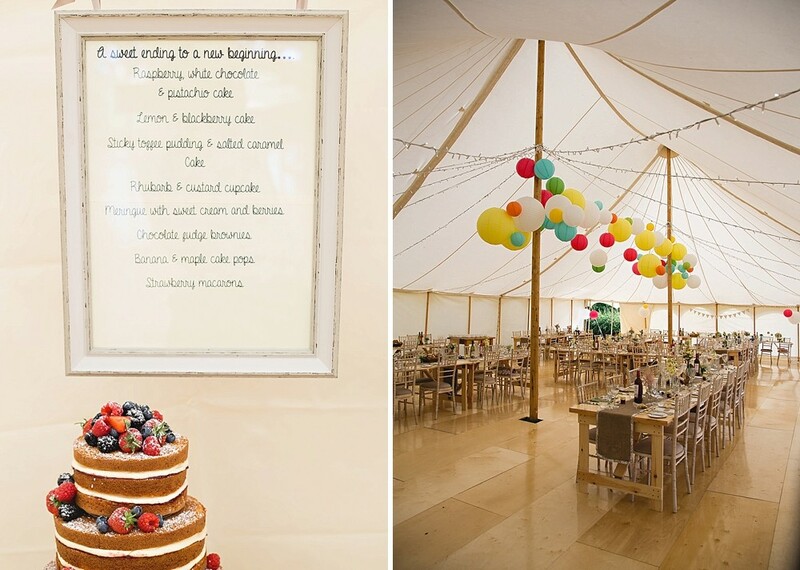 I set out many months before the wedding on a mission to make bunting – and I managed to make 72 metres worth to decorate the marquee. I think the result was stunning. It made the tent look really special. I have never had such positive feedback from anything I’ve ever done before! So much so I think I’m going to try making some to sell on Ebay! We also made lots of paper origami cranes, which my Mum tied onto some bamboo poles to make a large mobile which looked great. I made the seating plan from an old leather suitcase we found at the farm, we think it may have belonged to an evacuee in the war. I’d seen something similar online and I think the result was great. 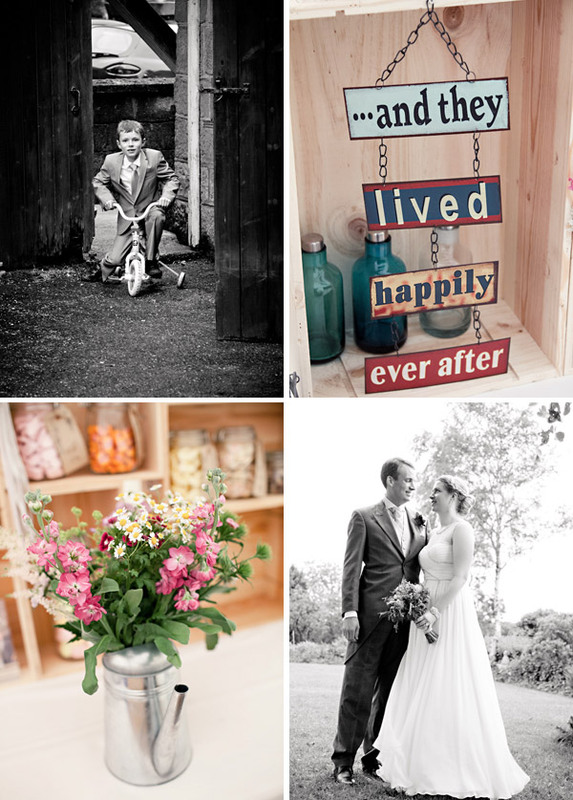 Hannah, Sam’s sister, works for a wine company and had been able to acquire lots of wooden wine boxes and with an electric screwdriver the day before the wedding John, Sam’s Dad and Tom, helped me bring to life my vision of wonky shelving on which I could put my collected treasures. John kept questioning whether we were preparing a wedding or a junk shop – I think by the end he was happy with the result though! We filled the shelves with vases, sweet jars and the odd metal chicken – I think the end result was good. I think the marquee could hardly have looked better – especially with the flowerbed inside the tent and Seth one of the neighbours even set up a water feature!! It was perfect. I think I would say do exactly what you want to do, not what anyone else wants you to do. For me what made the day special was knowing we (with the help of an army of family and friends) had done lots of work to make it exactly what we had dreamed of. Don’t get too caught up in the detail, after all if you get a roomful of your favourite people together, you’re bound to have a good time whatever happens. I think telling ourselves that over and over kept us sane! 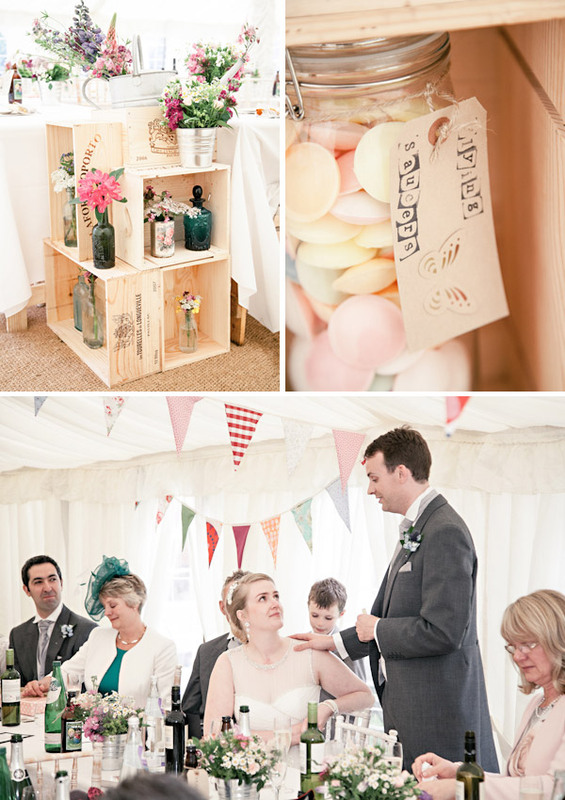 The Wonky Wedding… Love it! Such a fun day – pulling your own pints is surely a novelty that will never wear off! The shelving made from wooden wine boxes and the “junk shop” arrangements of jars, ornaments and florals are also just perfect. A great big thanks goes out to our bride and groom Lisa and Sam.